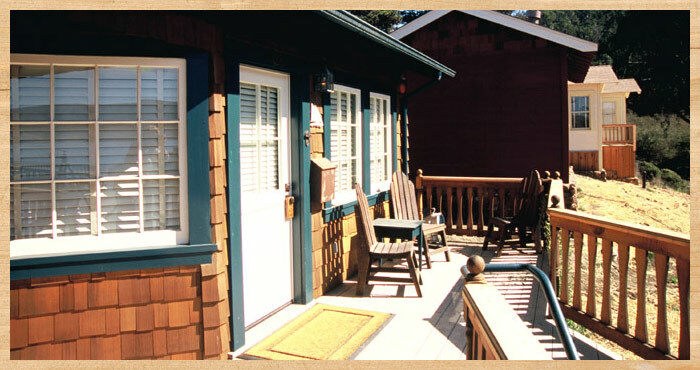 Judy’s cottage has a cozy, private deck and bay view overlooking one of the most beautiful stretches of protected California coastline. 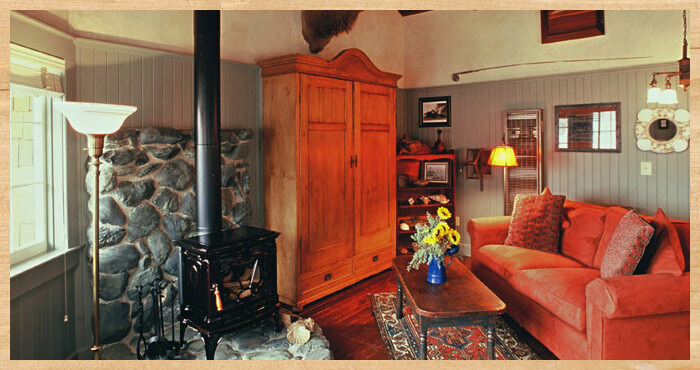 This upscale, studio style lodge has a wood-burning stove and lavishly appointed king-size bed for comfortable, cozy evenings, making it an ideal weekend retreat. 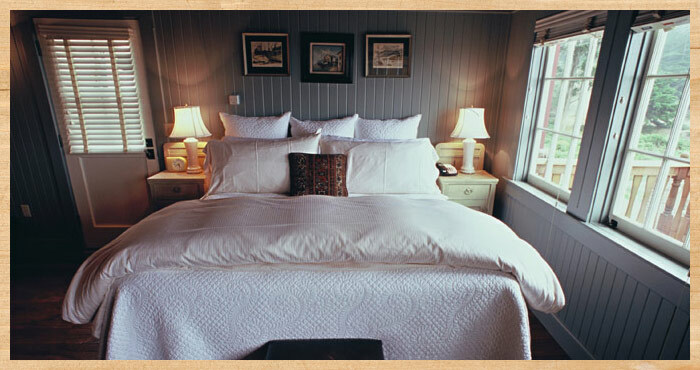 The bathroom has marble tile heated floors, a beautiful enamel sink, and rainforest walk-in shower.